Scotty's professionals work in concert with local law enforcement agencies, the State's Attorney's Office, and the Public Defender's Office during the investigation of a crime. Clients may ask us for additional research to broaden the understanding of a crime scene, including: additional witness statements, searches for individuals with more information of the crime, and crime scene examination and photography. With our staff of investigators consisting of retired law enforcement officers trained in criminal investigation, Scotty's Investigations is the most effective option for crime scene analysis. Marital and domestic issues, including child custody cases are handled by Scotty's. To develop a final investigative report to a client, services may include: surveillance and logging, still photography and video, neighbor and acquaintance interviews, and school and babysitter interviews in child custody investigations. The crime of insurance fraud has shown rapid growth in recent years, and our agency applies effective investigative techniques including: undercover surveillance, videotaping, and interviewing acquaintances of suspects to determine if an insurance award was truly justified. Our agency investigates unexpected losses or radical drops in productivity--which may be the result of employee theft or embezzlement. 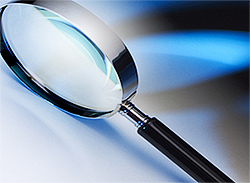 Each investigation is tailored to the business and the particular problem it is facing. Searches can be conducted to locate missing loved ones, estranged spouses, missing heirs, and more. The Search and Locate service is also a subservice of other investigations, such as civil service cases and repossessions. When matters of high importance that demand accuracy and thoroughness are on the line, why not trust the experienced professionals. 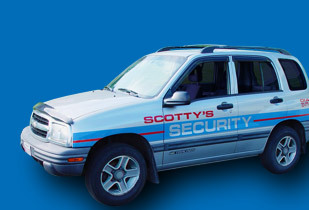 Contact Scotty's Investigations today to see how we can bring your problem to a quick resolution.